Change your perception of meditation! This breezy guide introduces the concept of active meditation-moving meditations in which mind, body, and spirit become totally immersed in a single activity. 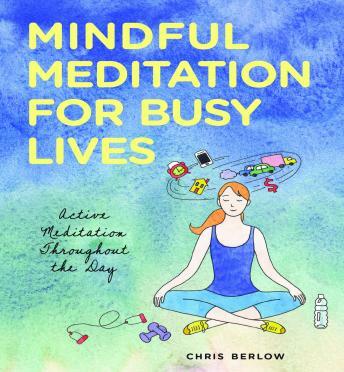 Author and martial artist Chris Berlow takes listeners through the many possible ways to meditate throughout even the busiest day, whether it's during a session of high-powered exercise or while performing simple tasks like cooking and cleaning. In our fast-paced, technologically driven time, this alternative and nontraditional practice can help foster personal self-awareness, a peaceful mind, and internal happiness.